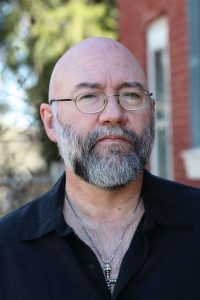 Appalachian author Jeff Mann, Associate Professor of Creative Writing at Virginia Tech, officially kicks off the publication of his new novel, Country. Country is set in the late 1990’s when the main character, Country singer Brice Brown, is forced to come to terms with his sexuality and subsequently deal with the fallout of homophobia and bigotry and a real relationship. “I was inspired by my love for Country music and Country boys, and I wanted to portray the despair a man can feel losing everything and the creative energy that comes from meeting someone who becomes the muse. I also wanted to depict the difficulty of being a gay man in Appalachia, where conservative Christianity breeds homophobia,” says Mann. Published by Lethe Press, Country is available from the publisher as well as on Amazon.com and other outlets. As a part of the kickoff for Country, Jeff will give away an autographed copy of Country and other books in print and audio book format. For more information on how to enter the contest, visit Jeff’s website at jeffmannauthor.com. For more information, contact Jeff Mann via jeff@jeffmannauthor.com. Greetings! I look forward to the read. Merry meet on the pages of your voice.